Karel Cool's research, teaching and consulting focus on problems of industry and competitive analysis (e. g. industry overcapacity; profit dynamics, product standards, critical mass races, value creation, building unique resources). 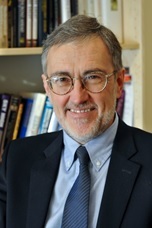 He has published in many journals, including Management Science, the Strategic Management Journal, Harvard Business Review, Organization Science, Academy of management Journal, Marketing Letters, Advances in Strategic Management, etc, edited the books, European Industrial Restructuring in the 1990s, 1992 (with D. Neven and I. Walter; Macmillan 1992), and Industry Structuring and Restructuring (with J. Henserson and R. Abate; Blackwell 2004, SMS Book Series), and has contributed to several books on competitive strategy. From 1995 till 2007, he was Associate Editor of the Strategic Management Journal, the leading strategy journal. He has consulted on major strategic problems of corporate and industry restructuring and worked with a variety of corporations, including Whirlpool, DaimlerChrysler, Expedia, PriceWaterhouseCoopers, Schering Plough, Lufthansa, Banque de France, Unilever, DaimlerChrysler, Borealis, Exxon, Solvay, Shell, IBM, NovoNordisk, KBC, McKinsey, BCG, Amgen, Bayer, Hearst, Lilly, Servier, etc. During the academic year 1995/6 he was Visiting Professor at the Graduate School of Business at the University of Chicago. He is also Visiting Professor at Northwestern University and was co-chair of the 2002 annual Strategic Management Society Conference held in Paris. He won 6 times the “Best Teaching Award” in the MBA Insead Programme and is the Founder and Director of the long running Competitive Strategy executive program at Insead. In 2007, he was inducted as Fellow of the Strategic Management Society. In 2009, he received by Purdue University the George S. Day Distinguished Alumni Academic Service Award.